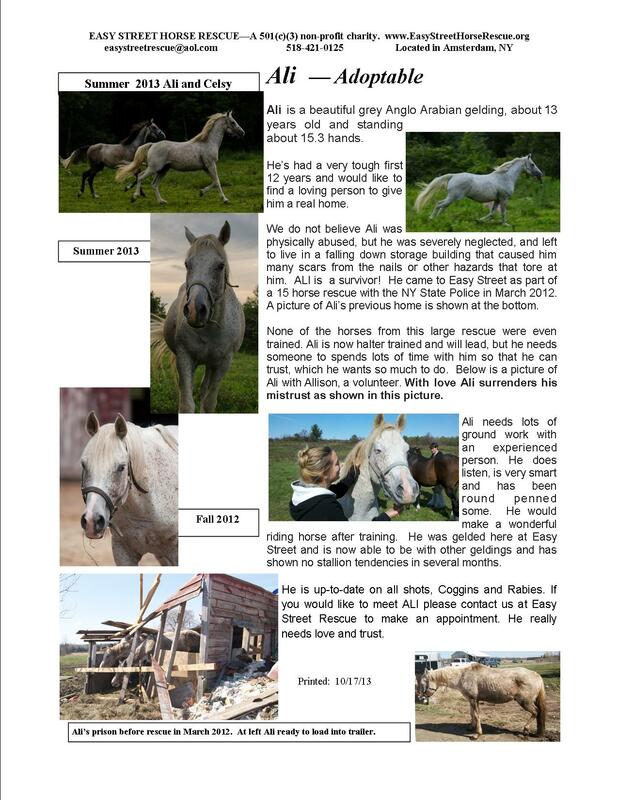 Ali is looking for a Foster Training home…. Must be a proven trainer with ability to handle and train an unbroken horse. 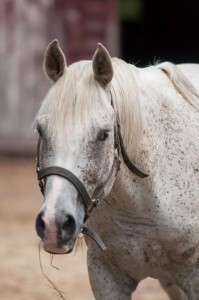 Ali is about 16 years old and was gelded at age 11. He is strong and beautiful. When he is scared and feels trapped, his first reaction may be to rear, but he is not mean and never tries to hurt the person. He is really a sweet horse, but really needs someone that knows how to train. A Foster Training home may take a full tax deductible expense to the full extent allowable by law. Your choice to track expenses and deduct those, or use an authorized per diem authorized by us. 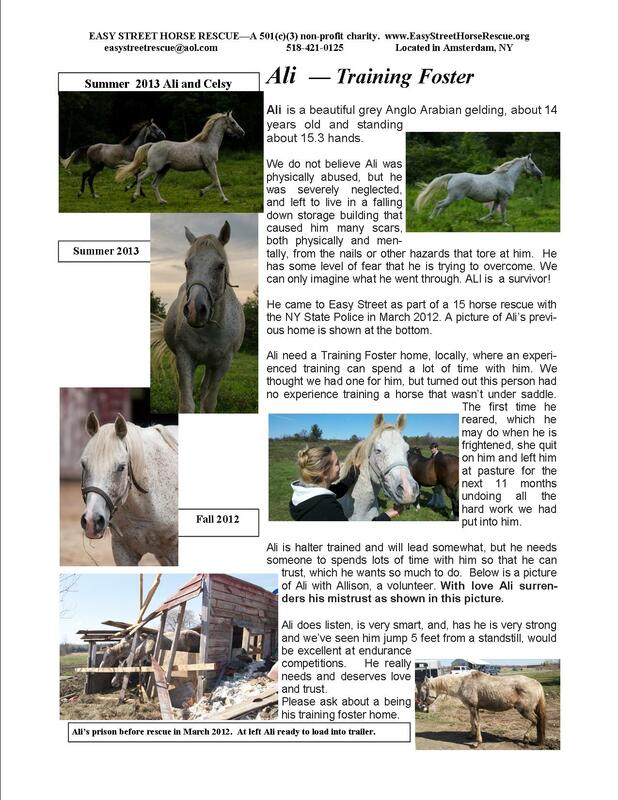 If you have the interest and the ability to provide a Foster Training home for Ali then please download the Foster Form (under forms tab) to submit. 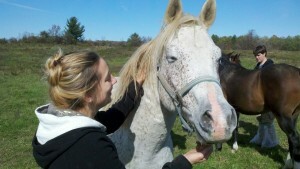 Make an appointment to meet Ali by calling Nina at 518-421-0125.